Camouflage for poor science, poor standards, bad logic, and too many vested interests to name. Now there is AmazonGate. The IPCC fabricates disastrous claims about the Amazon forest, and references a document written by activists that doesn’t even support the claim. Will 40% of the Amazonian forests react drastically to even a slight change in rainfall? Is there a tipping point for the Amazon? The reference turns out to be an Australian forest specialist, who works for not just the WWF, but also for the World Conservation Union, and who according to his CV mostly works in Australia and Asia, and not the Amazon. His co-author is a journalist who’s worked on Greenpeace campaigns and for the WWF. Then, to top it off, the assertions that the IPCC attributes to them can’t even be found in the report that they wrote. All Gates lead to humiliation and embarrassment for the followers of the great cult of the carbonistas. And we haven’t yet got even close to the scandal of the faulty assumptions that led to the faulty models and alarmist predictions in the first place, or the even bigger scandal of how the observational evidence that proves the assumptions false is and was ignored by the IPCC. Don’t forget sea-level-gate … and hurricane-gate. It’s getting hard to keep track of the lies, perhaps we should just ask what is true in the report? This reminds me of the current legislative tactic of the liberals in the U.S. Congress to create 1000+ page bills that no one reads and then declare the world will end if the legislation isn’t passed immediately. Al apparently ran his sea level rise hoax past the public to save money on his seashore property in North Carolina. The other is Carbongate. Carbon trading fell from 7 dollars a ton to 10 cents. Very interested in your Carbongate and the collapse of prices. Anybody any ideas what the name for a group of gates is called, the way it is going you had better think big. Carbon prices from the CCX. The Chicago climate exchange. The exchange was funded by Goldman Sachs and directors include Academic types that are educated like Pachauri. They traded 80,000 metric tons of CO2 today. That is a gross dollar volume of 8,000 doallars and a gross commission of less than 1,000 dollars. If you were a steel maker and purchased a million tons 2 years ago because you consume 3 million tons of coal to make 1 million tons of steel, you would have lost 7 million dollars. Is that a rip off? On Papua New Guinea, they approached small farmers and collected 5-600 dollars a farm to help them enter access to carbon transactions. The hustlers disappeared with the money. It was a fraud. And all these tribes are both not connected and speak different dialects/languages. A group of gates in a dam are called sluicegates leading to a sluiceway. Sluicegates would be an appropriate term for getting things flushed out of the system. As a water and wastewater engineer in another lifetime, I like your suggestion Potentilla. Looks like the AGW alarmists are in the final battles of their war against reality. They are losing big time. I suspect that they will double down and do more of the same. Especially since they don’t learn from history as they attempt to rewrite it. The writers of Monty Python’s Flying Circus could not have depicted a more delicious end for the scam. Reminds me of James Carville’s recent advice to President Obama – Blame Bush Even More. Robin, floodgates is right. They seem to have opened. We are being treated to a goof du jour! A series of gates in a row become a CANAL. It’s ALIMENTARY my dear, and we all know what flows out of it don’t we? Looks like someone forgot to shut the gate. Will you guys please stop gating off! and (I’m not the first to mention) Hurricanegate: http://rogerpielkejr.blogspot.com/2010/01/primer-on-egregious-eroors-in-ipcc-wg2.html. Ditto the sea level comments. The proper term for a series of gates is a slalom course. Which comes with many well tanned athletes resplendent in advertising for their many sources of funding making a very dramatic show of bobbing and weaving through the many gates in the least time possible. Anybody who takes out and misses a gate is disqualified. I wandered over here because of a reference at WUWT. I like your post. Somehow, Dante’s Inferno popped into my mind as I read it. Gates to the levels in his vision? Can we collect all of these Gates on a sticky post, as it’s getting hard to keep tabs on all of them? Maybe it should just be Prison Gates – it’s what Pachauri and co should spend a long time looking at. The thing about the worries about the forests is that over the long term, most of the world’s forests are doomed one way or another. The land in the Pacific northwest where I live spends most of its time under 5000 feet of ice rather than trees. And the next ice age will lock up enough water from the oceans that a lot of what is now tropical forest will convert to grass (which is how it spends most of its time). If anything, man’s warming of the planet is in the direction of saving the forests. All this talk of gates reminded me of articles I read awhile back about the “Gates of Hell” in Clifton New Jersey. It’s a place where several storm drains come together, and they’re pretty creepy-looking with all the dark tunnels, graffiti, etc. One website had pics of the walls as one descends down into the gates, ending with this one. Apropos now for the IPCC -gates, eh? What do you call a bunch of “gates”? Just like geese, they would of course be referred to as “Gaggle-gate”! Why has nobody mentioned the “Gaters” living in the New York sewer system? Which organisation is responsible for Auditing the UN? THE introduction of an emissions trading scheme would boost the Northern Rivers economy by at least $109 million, primarily through the agricultural, tourism and fishing industries, a group of Lismore scientists has said. Jim has 18 years commercial experience spanning numerous industries with companies such as leading global agribusiness Monsanto and has held CEO and operational roles in The Farmshed, Centrogen, and Genos. His early career was in sales, marketing and product development. Jim has developed and implemented the commercialisation strategies for several university and CSIRO created technologies. It’s the “gatekeepers” who control the flow of science who are the problem. If we could only “gate” them all the world might progress a little better. Interesting article. Btw, the neuter possessive pronoun is spelled its, not it’s, which is in fact a contraction for it is. After all, you wouldn’t write her’s or hi’s, so why it’s? What is Glaciergate and why are there so many gates in the AGW theory? Joanne is well known for her tendency to apostrophe abuse. Regulars here have got used to it. (Actually, grammatical laxness is more likely from the artistically talented, I understand.) But leaving that aside, she sure comes up with some great information, don’t you think? Dare I say it, but the horse has bolted. - Demography and control of disease-carrying tropical mosquitoes in northern Australia. - Factors controlling population size and extinction risk. - Population dynamics of small mammals in Kakadu National Park. - Does the inclusion of fine scale information to coarse parameter models improve population viability forecasts for small coastal and arid mammals? - The interactive effects of habitat degradation and climate change on Southeast Asian and Australian birds. - Impact of climate change and habitat fragmentation on the herpetofauna of Southeast Asia. Demographic impacts of future sea-level rise on Adelaide: a case study for Australian populations. Which means we must have lost approx 365,000 species since 1990, mind you, it’s hard to actually ascertain how many species there are because it appears no one actually knows. Birds – last mainland bird extinction was 1920s – the Robust White eye. Amphibians – possibly 4 haven’t been recorded in the last 30 years. Invertebrates – 6 possibly – the last in 1996. It is also interesting to note that main donations of funds for Professor Myers work is the World Wildlife Fund, the Royal Society, NASA. Say no more! I think this started with the Hockey Stick. That makes 5 gates. Lets not open the champagne yet. In Australia, Liberal opposition, having blocked carbon trading, validated by Copenhagen, now is inexplicably suggesting a regional ‘Copenhagen’ with Indonesia towards ‘genuine binding reductions” to reduce CO2 – WTF? Please don’t fall into the same hole Rudd/Wong are in regarding CO2 reduction. MSM – namely “The Australian” are now openly ridiculing climate scaremongering by the IPCC. It is becoming almost ‘fashionable’ to be sceptic. India and China are having none of it and in USA – AGW is the 21st last concern on public’s mind, FDA’s CO2 endangerment ruling is under attack and may be legislated against. Democrats lost 3 by-elections including Massachusetts – Cap&Trade and Copenhagen probably did not help. And you are urging action on Climate Change? Just as you differentiated yourself from Labour, you merge with them again on Climate? Please consider the opportunity of tying Rudd and Wong to this sinking ship, without the Liberals on board. The Coalition can build a needed environmental policy on efficiency and smart technology, without buying into and getting burned by the CO2 scam…. …and everyone forgot (oh the humanity!) PoleyGate… think of the poor poley bears! There never having been a need for such a collective term before, methinks ‘ AR4 ‘ may assume the eponymous. This is pretty bad, but what about . . .
Mr Davis says while climate change sceptics are in the minority in the scientific community, their views will also be examined at the conference. How about AGW-Gate on Tshirts? Don’t forget the most insidious of all – the Toll Gate. I do like the “slalom course” as a collective for gates – being as how I kayak and have tried a bit of slalom. I have a great respect for those who successfully negotiate the gates, go not become entangled in them and incur penalties. I think we need to rejig the scoring though. Instead of 2sec for touching a gate and 50sec for missing one altogether. we should aware more points for identifying a gate and avoiding it. So I assume that this is a “gate post”. Snotgate – Recent research has shown that the computer modelled rate of sea-level rise that is attributed to the amount of snot cried out by eco-alarmists is grossly overstated. I wrote to Ms. Imogen Birley and Ms. Milne. I shared Dr. John P Costallo’s narrative on pertinent climategate emails. It is 209 pages long and he does a marvelous job of revealing how “scientists” sold their integrity and corrupted the scientific method. I don’t know anything about these women but am wondering if you think they might go to the site and read what has been written? Now we see above that on the Chicago exchange prices have dropped from $7 per ton to $0.10 per ton, just wondering if the ”advisers” to this mini ripoff have a calculator, $107,000,000 divided by $0.10 ? ( Today’s price $0.085 ) How many ‘gates’ to fence off this mountain ? Chicago=America=today’s volume trade 64,000 tons, America, and even Chicago I have heard of, but can someone tell me where is Lismore ? Have only glossed through the above, but was Hurricanegate mentioned…Mr. Stern, what a mess! could have done with all these “gates”! or use the Crane group word of siege to make..
Haven`t read all of the d`Aleo and Watts “Surface Temperature Records” epic (getting there! ), but I get the impression that UrbanHeatIslandgate may not be too far away…if anything THAT will be cat-and-pigeons stuff once it goes mainstream. With all this talk about “gates”, the first association I had was from the 1980′s movie Ghostbusters. Do you remember it? (those that are the right vintage.) It had the fearful, spooky and dangerous “Gate Keeper” in it. “I am the Gate Keeper!” The ghost buster team had to get past the “Gate Keeper” to save themselves and the world (or something like that). Who do you call? Ghostbusters!! Or should the AGW believers now have to call “Gatebusters?”! They may need them, ie “Gatebusters!” to destroy all these “gates” that are harming their credibility? Home of a number of Green,Environmental population…very active at pushing issues(think they have a number of retired “so called experts”)especially in local councils. They have pushed many policies for the coastal strip and caused “havoc among the local rural people”. BillGate(s). No further comments required. Let’s not forget “Hockey-stick gate” that was the centerpiece of Gore’s book and the IPPC contention that climate had not changed in thousands of years until CO2 took over. Geologists knew immediately that Mann et al. was rubbish and made the mistake that no one would believe such a stupid contention, but the hockey stick gained traction in the news media and was actually taken seriously. So this is where all the tinfoil hat wearing people post. Real that is impressive for your first post. I wish you well here we can be very slow and patient with first timers……..
By the way, do you know how hard it is to find good weapons grade tin foil? Mostly cheap ALCOA product these days……You do know the difference don’t you? Did the Greens derive their original policy on climate change from Oxfam Australia`s position…or was it the other way round? “40% by 2020″ seems to ring a bell from somewhere. Perhaps the IPCC (or maybe the UN ?) should be renamed “Gates R Us” ? I like my tinfoil hat. It keeps the IPCC from controlling my mind. Their nutty output bounces right off. For those who haven`t seen it yet, here is David Kreutzer last year on effects of cap-and-trade…so guess what is mooted to be re-inroduced in parliament here next week. Sigh. Where can I buy a tinfoil hat? Aliens are trying to make me think that it must warm up between glacial periods. Help!! Where did you Aussies find the guns? Great job and I’m sure it makes some people nervous! Gorbachev, Mikhail. Keynote address – State of the World Forum 1996, San Francisco. I bought mine from an outfit called Erogla. They have a store at 5302 Snoitan Detinu Street, Nesnah Semaj City, Mars. You can place your order by phone at 1-800-WGA-CCPI. Hmmm. a collective noun for gates…? Hey Roy that’s where I got mine! Much better quality than what you find around here. I found matching rabbit ears at Tram-k (you can locate them almost anywhere. Sadly, we have been hoodwinked away from diminishing the real problem, POLLUTION, by a bunch of lock-stepping pomposity laden professorial bastards. City air pollution kills more than TWICE as many people than do traffic accidents and autos are a big killer. Those Monsanto people mentioned in comments above have unleashed chemicals that slaughter insects but not too selectively. Tons of bee colonies have vanished. Hives are trucked around USA and Canada to pollinate crops. In China, whole families move about pollinating crops using feathers attached to poles. Frogs have diminished greatly. They eat those chemically poisoned bugs. Diminished bird populations you know about. We humans can not alter sun cycles so fooling with global warming or cooling is lunacy. Clean energy and electric vehicles however are within our tiny limited ability. Remember Ian Fry the “crying” representative of Tuvalu at the COP 15? Seems his atoll island CANNOT sink as the alarmists (Greenpeace especially) would have us believe. Greenpeace even convinced Micronesia to sue the Chezh republic for their emissions. This is the Tuvaluan representative calling for help as his island is sinking. The accent is hard to make out but I think it’s our good friend Lubos Motl who got the call. Humbug – what was my comment about some people believeing anything they read just because it supports their religiously held views? I do hope you research what real research scientists have to say about atolls and sea level change. I am an atheist Matt. Why don’t you go ahead and tell me what the real (read IPCC) scientists say. People, that reminds me…I believe it is Professor Ian Fry that has been referred to, of the ANU no less. Attended Copenhagen at whose expense? The only reason Tuvalu is likely to sink anytime soon is most likely due to geological subsidence rather than rising sea levels, read an interesting article recently on that subject in relation to European and Pacific nations – apologize profusely, no link. And a little Tuvalu addendum – remember those 3,000-odd “climate” refugees from Tuvalu moving to New Zealand, not that sea levels have risen that much in the last couple of decades? Well, a Kiwi made an interesting post in a forum on another website stating they were actually “environmental degradation through overpopulation” refugees. Have a read of this link, puts the “climate” refugee publicity this event attracted into an interesting IPCC publicity perspective. Our local Tram-k has been closed down for several years. I tried Tramlaw but they don’t carry rabbit ears. Any suggestions? Maybe I should just check into the nearest deddap llac and be done with it. Thanks so much for the honourable mention. I have a follow-up post on Greenpeace-generated literature in the Nobel-winning climate report. For years, malaria expert Paul Reiter of the Paris-based Pasteur Institute has criticized the warning, as expressed in the third IPCC report, that climate change will lead to the spread of malaria, saying that there is no evidence to support such a claim. Reiter accuses many climatologists of perceiving themselves too strongly as activists who are more interested in spreading an alarmist message. Scientists already feel that the second part of the IPCC report, which addresses the consequences of global warming, is not as sound as the first part, which deals with the underlying physical factors contributing to climate change. This could, in fact, explain how the erroneous Himalayan prognosis slipped into the report in the first place. The report’s lead author, Murari Lal, defends himself by saying that “the melting of the glaciers is such a huge threat to so many people” and, for that reason, had to be included in the report. According to malaria researcher Reiter, it is precisely this passion that is so dangerous to science. REAL IN THE US! Yes dear, and we are in AUSTRALIA, you know, Down Under? Not Austria, as most of your country folk seem to think. That’s in E-U-R-O-P-E.
GeorgeGuitar: I was going to give you a thumbs up! Wouldn’t let me. Your comments re Monstano are quite in order. They claim to own the patent for several dozen seed crops that are Round Up resistant. Then charge farmers who grow Canola that has been cross pollinated by bees for a license to grow their crops. Just Google Monstano and see the Canadian farmer who was sued. They are not getting a hold with their GM crops in NSW. They are a danger to humanity I agree and insects. But car exhausts are not contributing to the deaths of people as you suggest. Although two of my good friends died via completing suicide that way. That’s why big urban cities like Sydney have a pollution haze always. is fraught with problems. Even in Denmark it has to be supplemented by coal burning power plants. Solar is a problem too. One sugar cane residue electricity plant is threatened and it does generate enough electricity for a smaller community, because the government is giving rebates to solar uses at their expense. I’d like solar but can’t afford it. But installed a rain water plant that actually I got all monies spent back from State and Fed Governments. Yes sustainability should be given a lot of mention. But quoting incorrect data to substantiate your stance on AGW, doesn’t win any votes. 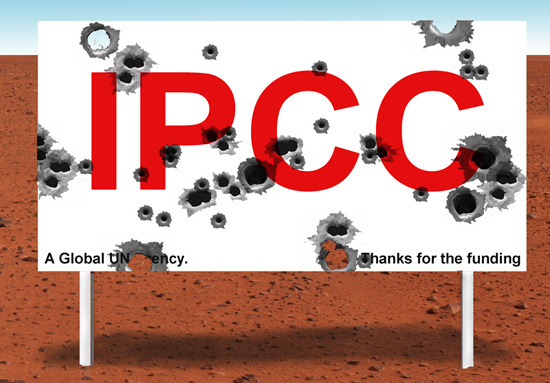 That’s the problem with the IPCC. wants Australia to take them not as refugees, oh No, but train them to become worthwhile Aussie citizens. 150 feet above sea level at its highest point. I posted this originally on the Delingpole blog the other day. OT: Who put the ‘gate’ in climate? While viewing some old newspaper articles online I came across an interesting story headed “Evidence shows world cooling trend” from The Bulletin, dated July 24, 1974. From text towards the bottom-left of the graph, that proves the cooling? Do you think someone was having a larf, given that the original gate had only just recently been established as a postfix for everything a bit dodgy? The decline of prevailing temperatures since about 1945 appears to be the longest-continued downward trend since temperature records began. says Professor Hubert H Lamb of the University of East Anglia in Great Britain. Hey Donna, how nice to see you here at Jo’s place. Now, now bunny, not all who visit here with Jo are from Down Under. Brian Valentine and I are both Yanks. It’s our current President who can’t figure out the Austria/Australia thingie or the Austrian/Australian language thingie. He sure as heck don’t speak for all of us (yeah, I know that’s his official job description and all but…)and there’s a great deal of “buyer’s remorse” right now in the USA. As he has deeply held religous belief in AGW, what can we say about his scientific knowledge? Have you good folks seen this yet? …what can we say about his scientific knowledge? I can’t say anything, since he has none to talk about. I’m a Yank as well and at least I don’t have buyer’s remorse since I voted for the other guy. On the science Obama is no worse off than many others. But politically he’s an extreme danger because, unlike many others, it’s not about money with him; it’s all about an ideology that sees his country as unworthy to be the world leader it’s been for so long. And if we fall to this man no one will come to our rescue. He seems quite willing to let the UN become our government. Thankfully, while he blames his predecessor and Republicans for his failure to get what he wants, it’s his own party that’s been his nemesis. I know he does not know how many states he is president of, but he is now confusing 2 of our allies? It does not surprise me. After all, he stated unequivocally the “overwhelming scientific evidence on climate change”, without actually saying why (i.e. whether man has caused it). He takes a lot of words usually to say nothing, as is the case here (plausible deniability). Just to assure you that electric vehicles are a great jump ahead even when they tap into coal fired energy. Gasoline requires drilling, pumping, transport, refining, more transport and electric pumping sales stations. Gasoling delivers service to the wheels at 23% to 28% efficiency. Battery power can operate drawing from the grid here in British Columbia at over three million vehicles charging nightly with no aterations or overtaxing the system at all. Unlike gasoline, battery power delivers power to the wheels at 96% efficiency. in Europe isn’t it?..” Mind you they most probably hand picked people to show a lack of knowledge in geography? LOL. That’s the media for you. in soils. Establishing Green Corps, etc. oil. Artesian water is greatly used in Australia, and Lance Endersbee (I think I spelt his name correctly) suggested use of it would cause it to run out, as it wasn’t replenished by rain. to start to think more towards sustainability. You are dreaming if you believe electric hybrid vehicles are overall better for the environment. The only argument that can be made is that they are better for reducing smog in large cities. Fossil burning electric generation facilities run about 33% efficient. It takes between 30 to 60 pounds of coal (depending on the type) to make the same amount of energy as 1 gallon of gasoline. Coal is between 10 to 20 pounds for the same POTENTIAL BTU. After 30% efficiency you need 30 to 60 pounds of coal to create the same value of energy as one gallon of gasoline. We have not yet got that electricity to your hybrids’ wheels. The transport over the electric “grid” losses are another 7%. The charging system in the hybrid car will lose another significant percentage too. When you factor in the huge amount of energy it takes mine and process the metals for and to manufacture the batteries you are in the hole deep. Lets not even consider the cost premium for buying that nice warm feeling eco-car. If you want to be green, stop driving. what do we do, go back to the horse and buggy? Costs more to feed a horse than a petrol driven motor vehicle. If I had the dollars I would go all solar with electricity back up. But domestic electricity is cleaner than wood, gas or oil heating. It’s the plants that supply it,that seem to generate the AGW’s err. Mind you if for short journeys they developed cars or MV with one cylinder say, that would help surely. They are available. How much they cost I haven’t a clue. I drive mainly into town, maybe to a nearby town once a month, if that. I don’t need a six cylinder car really. The first thing I’d suggest is to worry less. Then the next time you buy a vehicle buy the lowest cost, highest MPG mileage USED car you can find that will fit your needs. By purchasing a used car you are saving money and re-cycling. You are right about the cost to feed a horse. That is why you don’t see them much at Walmart. 33% would be the low efficency for most modern plant in a country like Australia. A 6 feedheating stage coal plant will get about 36-38%, A higher pressure super/ultrasuper critical plant will get about 42-55% and an intergrated coal gasification combined cycle gas turbine heat recovery bioler will get up to 60% efficencies. If you start with gas for the combined cycle plants you go up from here. I won’t dispute your new (or remodeled) plant efficiencies but there are still plenty online that are not that highly efficient. When buying electricity you can’t choose which plant you are getting it from. In the automobile, fuel density is important and batteries are not very energy dense. The weight of battery powered autos is another source of inefficiency that has to be made up. The whole point is that there is a bunch of carbon on the other end of that electric receptacle. Lots of folks don’t know or forget that. Electric car salespeople are happy to tout that 90+% to the wheel efficiency from the battery and ignore the other losses (like the charger and vehicle weight). fuel conservative and in great condition only 900k kms. I always buy old cars for less than $5000 mainly because I can’t afford more. a temperate area where night time temps can plummet to minus 15 degrees C. Mainly in the valley 3 kms from me, I live on a ridge so we are 5 c warmer in winter. My garden is green, (organically managed) with a new rainwater tank to supplement some garden use, not all, runs the second toilet and also washing machine, that has eco saving on it. What more do can people do. Oh, I don’t eat a lot of red meat. One big rump steak a month perhaps, that I enjoy. I’ve just watched Obama’s Address to the Union in the USA Congress. He is wanting to pass his clean energy bill, that includes nuclear, gas and oil, clean coal etc. in his address. To make the USA a leader in clean energy. (economically like China?) He stressed whether you believed climate change science or not, then, his bill will benefit Americans. So where is the reducing CO2 emissions. Never mentioned. gas and oil to fuel most of their electricity plants. So where does the ETS tax come in – doesn’t matter eh? nomination for the 2012 president. SOS! hello, what about EDGEMIGATEING the ones that dont wanna know about this waffle on climitegate etc. i beleive we are all going to end up behind some sort of gate down the track. At a recent Greens meeting, Sen.John McKay said ‘Electric Cars do nothing to eliminate CO2 emissions as they depend on recharging via coal fired electricity plants. However what do we do, go back to the horse and buggy? Well you could start by forgetting about all the worry on CO2 emissions and concentrating on things that actually matter. Cameron, I agree that 33% efficiency would be an old plant but around Sydney, power stations like Liddell were built in the 70′s although it has been upgraded somewhat since then. Old stations are an economic reality because it doesn’t even start to make sense to rip apart perfectly good infrastructure to get a few percent better efficiency. The efficiency in general cannot just keep getting better and better because basic thermodynamics says you need higher temperatures and higher pressures to improve efficiency — there’s only so far you can go before the plant falls to bits under the strain. Adding stages does help, but only incrementally with a rapidly diminishing return as you add more stages. Old plants last a long time because they were NOT built to the very limit of the materials. Besides, the stations are sitting right on a coal seam so you just scoop out the coal and feed it through the station. There is absolutely no reason for electricity to be expensive. TEL @127: Well you could start by forgetting about all the worry on CO2 emissions and concentrating on things that actually matter. Tel, I didn’t want to sound blunt That’s why I said “don’t worry so much”, but I am in full agreement with you. As to the efficiency comments, I realize they are simple comparisons. There are also losses (or carbon effects) in the refining and delivery of gasoline too. I simply wanted to expose the silliness of marketing “Green stuff” to the “Greenly inclined”. There is a lot of that going on right now and much of it is (what comes out of the posterior of Bulls)……. I spent an hour last night watching an otherwise interesting PBS program on Harp Seals and Narwhals. Every other comment was about how they were both in eminent peril because of climate change and global warming. It is no wonder people are feeling panicky about “doing something”? With the unusually cold weather this winter, perhaps we could turn Al Gore upside down and use his hot air as a snow blower. False; fails to account for efficiencies of return. Your argument failed for the same reason. 7% line loss is a constant for all electric uses. == I did not refute that. Electric generation facilities efficiency. == I did not refute that. Btu values Coal vs gasoline? == I did not refute that. Are you trying to say the mining of oil, transport of oil, refining of oil, delivery transport of gasoline to electrically run retail stations and pumps does not consume much electricity? Did you pay $6,000 for your cell phone? That’s what they cost in the early days. These are early days for large format auto battery packs. Global warming is a fraud and a decoy to keep us lemmings from railing against the real criminals. Chemical companies run amuck. Global pollution is the real cause. We can’t do much to alter solar storms anyway. Meanwhile, were you aware that tons of bee colonies have vanished? That bee colonies are trucked all over eastern USA and Canada to pollinate crops? Were you aware that families travel about farms in China hand pollinating orchards with feathers attached to long poles. Were you aware of missing frog populations? They eat the chemically poisoned bugs, nest pas? Here in British Columbia there are vastly fewer butterflies, mosquitos and shad flies. The other problem with electric cars is that they are heavy. I remember that Top Gear had a run around with the Tesla Roadster which uses the best battery technology available in the world (don’t look at the price, don’t even think about the price) and the Tesla Roadster is substantially heavier than the equivalent petrol vehicle (which they also had running side by side). Heavy vehicles suffer the inefficiency of stop/start and cornering, all the force on everything is greater (suspension, tyres, steering). Some of that is recaptured by regenerative braking but you have the fundamental problem that rather than carry person from A to B, you are carrying person + massive battery pack + heavy equipment to carry battery pack from A to B. By the way, China is enthusiastic about electric cars because they are sitting on nearly all the world’s supply of Neodymium which is a prime ingredient for high efficiency electric motors. The political difficulty of buying oil from arabs at market prices is going to happen all over again buying motors from China when the day comes that China no longer feels the need to hand manufactured goods to foreigners at debt-subsidized rates. Although worthy of research, the panic merchants are thrashing the bee story far more than it is really worth. In summary, the feather pollination method was used before any colony collapse was happening (it gives better fruit); the majority of our crops don’t depend on bees anyhow; there are multiple different species of bees (including wild bees) so decline in the genetically-narrow domestic bees gives no indication of whether other types of bee are declining; and finally, on a worldwide scale there is no decline, there is just decline in certain regions (and I’m sure it is important to the people of those regions). Tony, perhaps my comment “your dreaming” was taken to mean that I was insulting you (which was not the case). That expression is used among friends in my part of the world. What is the “efficiency of return” for an electric car? I already said if you really want to be green don’t drive. No I don’t believe electric car batteries will come down that far in cost. I have heard the same thing about silicon solar cells for 30 years and they remain too high to be a practical electric supply (unless you have no grid access). There is no way the built in carbon costs of batteries (Due to mining and manufacturing energy)will ever go away. The last three items you have mentioned makes me think you are panicked. Panic is completely unproductive and a panicked assumption that seems intuitive (like it must be all those bad chemical companies) is foolish. Take a breath the world is very likely not going to end soon. Tesla Roadster has been out for years. Their battery pack is old format tubular. The new format is flat rectangle sandwich design [used in the Nissan Leaf], and cools much more efficiently. The Nissan Leaf has virtually the same curb weight as the Nissan family sedan. IC engine and complex junk about the same weight as the Batt.Pack or about 400 pounds. You might be a Nissan sales person so I’ll defer to your expertise. The Leaf has a range of 100 miles average. I couldn’t find any information on cabin heat necessary in half the USA Half the year. Also nothing on air conditioning necessary in the other half of the country. To reach the same range as a Dodge Neon you’d need more than 3 times the battery (so what would that weigh? and where would you put it and what would the suspension look like) 3x 440 = 1320 added to the curb weight of 2500-3000 pounds = a very heavy 3820-4320 Which is Extremely heavy for a mini size car Dodge Neon = 2500. Nissan’s own web site is very short on specifications and has a lot of Weasel Words in the pop question section. I could not find the curb weight or charge specifications on the Nissan site. I don’t know what rates are everywhere else but in CT they charge you for generation($.12), along with disturbution ect for a total of $.175 per kWh. Thats $4.20 for 100 miles. Gas at $2.50 a gallon would be $7.14 for 100 mile in a 35mpg car. At say 1000 mile per month thats $42.00 for the Leaf, and $71.40 for the misc 35mpg car. So I could save $29.40 a month on fuel. Now for the car payment. I have heard estimates of $30,000 – $7500(govt)= $22500 + battery lease(?) $22500 @ 6.0% 60 months = $435.00 a month 2009 Nissan Sentra(comparable gas car) $17,000 $17,000 @ 6.0% 60 months = $328.00 $435-$328 = $107 – $29 = $78 Does anyone really think this is going to save you money? I’ll stick with the Neon and you greenies keep dreaming. I realize the Neon is no longer produced (it just happens to be a car I am familiar with. Just substitute any 30 MPG small car. free bus that was electric. But it was always breaking down and it was recharged at the local TAFE college. It proved too expensive to run tourists around to show them our heritage buildings and sites. Shame though. that should be 2000 miles at 30KW per day x .10 = $3.00 per day or $60 pr month. This would realize a savings of $127.00 per month in gasoline at 30MPG. I believe the carbon calculation is correct. Please note I used 30KW even though the battery is rated at 24KW. I could not find any information on the charger efficiency. The EPA basis its decissions on the UN IPCC and on that basis a whole mess of regulations are about to be enacted by them. One will be to increase ethinol amounts in gas to 20% from 10%. At 10% ethinol is destroying gas pumps. At 20% it will do considerable damage to any vehicle. Also the price of food will greatly increase again and million more people of the 3rd world will starve. This will be the mother of all gates if these regulations go into effect. Fox news is reporting today that Phil Jones of CRU fame has considered committing suicide. They post the following link to the Times of London for the full article. It’s tragic to see a man who once was riding so high reduced to considering suicide. Thankfully he appears to have finally rejected the idea.